See what is happening around the world, right now! Eyeye TV is a new online view to the world. Tap the markers on the map to see what is happening around the world. 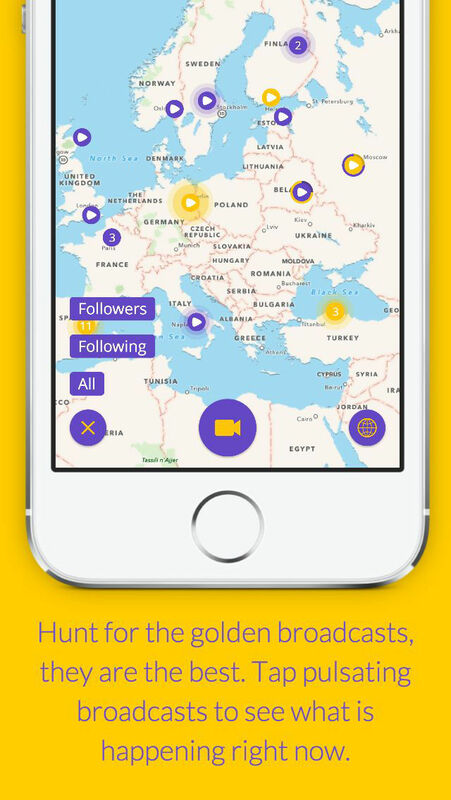 Feel free to enjoy the broadcasts of the Eyeye TV community. Your spontaneous feedback is highly appreciated. With a single tap, you can like or comment broadcasts. 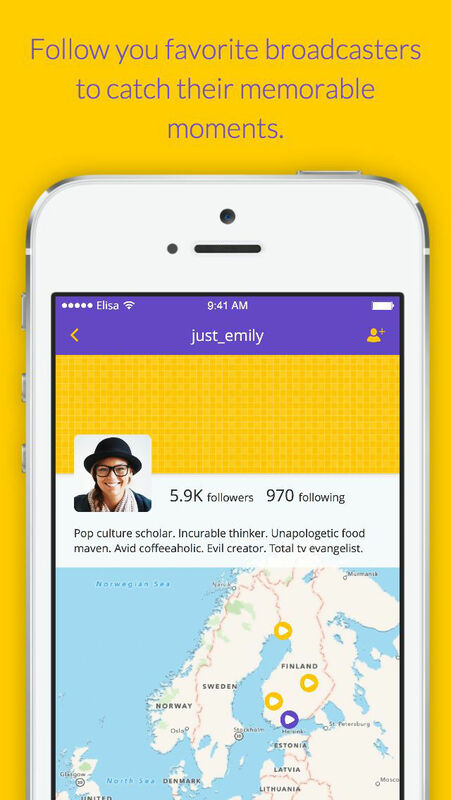 You can also start following your favorite broadcasters to get notified whenever they are live again. 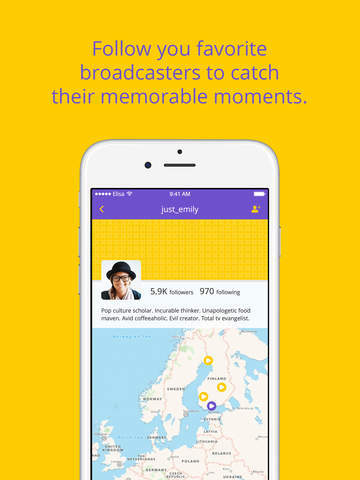 Or, start broadcasting yourself to share your best moments with the global Eyeye TV audience. One tap and you are on air. The stage is yours. – new notifications screen – get in touch with all comments and likes your deserve!